Having read and rather liked From Duke Till Dawn, I was rather looking forward to reading Counting On A Countess. In most aspects this book didn’t disappoint, but while I did enjoy the book there were a few niggling parts that resulted in me not enjoying the book to its full. To pardon the pun, Kit is a major saving “grace” to this book. He is that lovable rouge that you can’t help falling for. During the initial stage of the relationship and very early on in the book, I imagined each line of dialogue said with a cheeky smile and twinkle in his eye. The way in which Leigh has written Kit, at least on the outset, just seemed to bring the stereotypical dashing libertine rouge to life on the page. However, behind closed doors, you begin to see that there is more than this façade Kit puts on when in public and this is what elevates him as a character. Since Kit has gained his Earldom from his courage and honour on the battlefield, against Napoleon. Through his time at war, you begin to see the profound affect on him and at times he finds it difficult to slip back into society’ life. I began to see why he acted and continues to act in such a way. My heart went out to him and I really did want him to find peace and happiness. Though I didn’t necessary agree that the idea of a Pleasure Garden as a way to do this, I did get why he felt so passionate about the project. 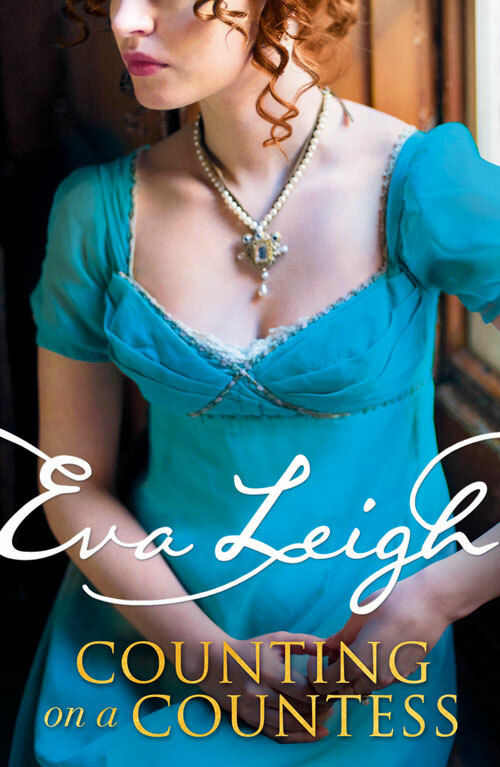 This may be a historical romance and I admit that I have no experience in the matter, I did feel that Leigh treated the subject of PTSD in a sensitive manner, through Kit. This was conveyed almost like a perfectly choreographed dance. Though it is clear that they are attracted to each other, each persons circumstance forces them to marry first and then try to find out more about the other person. The push and pull between the two characters is a joy to witness. At times, with each step towards each other, the secrets they hide seems to force them to take two steps back. This found me practically screaming at one or the other to just tell the other the truth. It just adds to the tension and chemistry between them, until it boils over to a very satisfying coming together of the two of them. First off, I get why there needed to be a spanner in the works for Kit to get the inheritance (above the one where Kit must marry in 30 days), where Tamsyn is the one that controls the purse strings. It adds another obstacle to the HEA, but here is what I found troubling about it. Why did it have to be Kit’s bride that gave the ok? In this time period, women of that level of society were not generally expected to have that skillset. So, what if Kit had married a more pliable bride? He could have easily sold her the idea of the pleasure garden and then they would have been bankrupt. On retrospect, it could be said that the person who left Kit his inheritance, might have been so in awe of his perfect wife and marriage that he put that in the will, but it still has so many flaws in it. A practical way around this would have been to have a lawyer or accountant to hold the purse strings over them both and then THEY would give the greenlight to any major purchases. Yes, this may have meant that a big part of the plotline is null and void, but I couldn’t shake the impracticality of it. Though I have said indifferent, I think I mean that I had very conflicting feelings about Tamsyn. For the most part I did like her as a character. She had courage and guts about her in dealing with a very difficult set of circumstances. It was very clear that she felt conflicted about deceiving Kit over her plans for the money and I did admire the fact that she wanted to look after those people in Newombe, yet I never fully warmed to her as I did to Kit. At times I felt she was very selfish in her thoughts and actions, even though with her difficult backstory, I could understand why. There was just something about her that prevented me from truly rooting for her, as I did with Cassandra, the heroine from the first book. 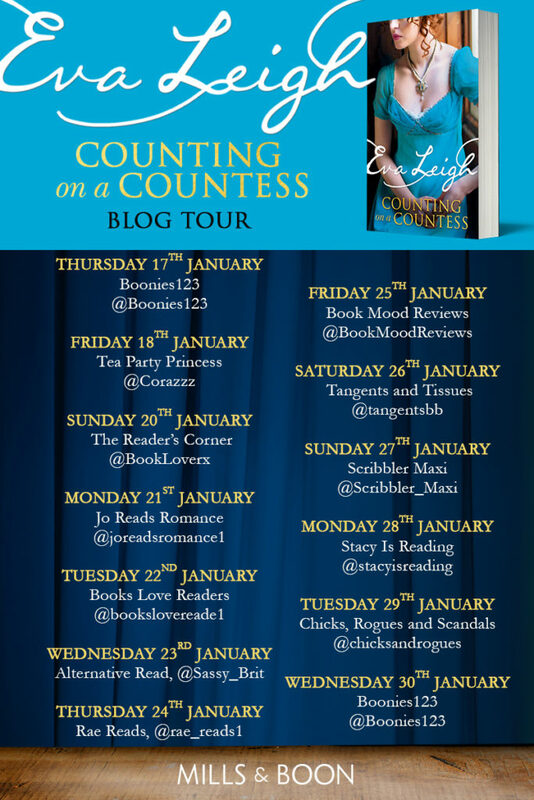 Counting On A Countess is a really entertaining read and I do enjoy the bucking of the genre, where the female characters are the ones with more murky backgrounds. There is no doubt that Leigh has a real gift for creating complex characters, but in this instance the book just failed to hit the spot. This is not to say that I cannot wait to read the third book in the series as it is about the mysterious owner of the underground club The Orchid Club.